An incisive courtroom thriller and a drama that raises questions about the nature of love, the disastrous side effects of guilt, and the function of justice. Malin Persson Giolito was born in Stockholm in 1969 and grew up in Djursholm, Sweden. She holds a degree in law from Uppsala University and has worked as a lawyer for the biggest law firm in the Nordic region and as an official for the European Commission in Brussels, Belgium. 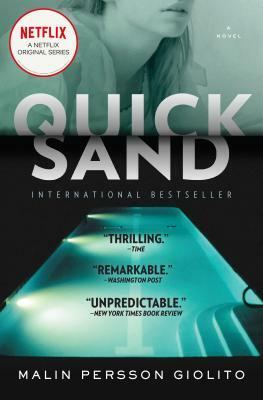 Now a full-time writer, she has written four novels including Quicksand, her English-language debut. Persson Giolito lives with her husband and three daughters in Brussels. Rachel Willson-Broyles majored in Scandinavian Studies at Gustavus Adolphus College in St. Peter, Minnesota, and received her BA there in 2002. She started translating while a graduate student at the University of Wisconsin-Madison, where she received a PhD in Scandinavian Studies in 2013. Willson-Broyles lives in St. Paul, Minnesota.